Pulmonary Hypertension and Mind/Body Medicine? To understand how Pulmonary Hypertension reacts to Mind/Body Medicine, you must understand what is going on biologically. Mind/Body Medicine, such as meditation and exercise, can help to give these clients a better quality of life. As a fitness professional, it is important to know how, when and why you are using certain mind/body modalities. Pulmonary Hypertension is a very rare disease of the lungs and right side of the heart. Sometimes there is no known cause except a change in the cells that line the pulmonary arteries. There is no cure, so managing the disease is the best most people can do. Some clients may be on multiple medications, which is normal. The changes in the pulmonary cells cause the artery walls to be thick and stiff. Extra tissue may form and the arteries may become tight. Young individuals usually become diagnosed by the age of 36 and women are diagnosed more often then men. Each year, 10 to 15 people per million are diagnosed in the United States. It is important to note that life expectancy is about 3 to 5 years if not diagnosed and treated. Hypertension, as most people know, is a blood pressure which is 130–139 over 80–89. Individuals with hypertension can usually come off of medications with eating healthy and exercising. There are instances where the client will never stop taking medications, due to genetics. The client can eat healthy and exercise, but the blood pressure does not come down. 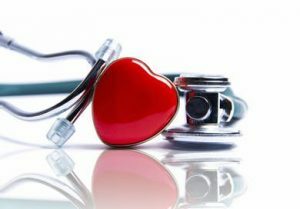 A primary doctor may try to get the blood pressure under control, but can’t. In this situation, the individual would be sent to a Cardiologist who specializes in Pulmonary Hypertension. There are four types of Pulmonary Hypertension and they each have their own symptoms and treatment. It is important to obtain a doctor’s clearance before working with this population. This group is usually classified as having no known cause. It can be genetic or develop from someone having Lupus, Scleroderma or HIV. Symptoms for this classification can be chest pain, dizziness, fatigue, inability to exercise, low blood pressure, chronic cough, shortness of breath, swelling or swollen legs. Exercise is very important for this group by strengthening the heart and lungs. 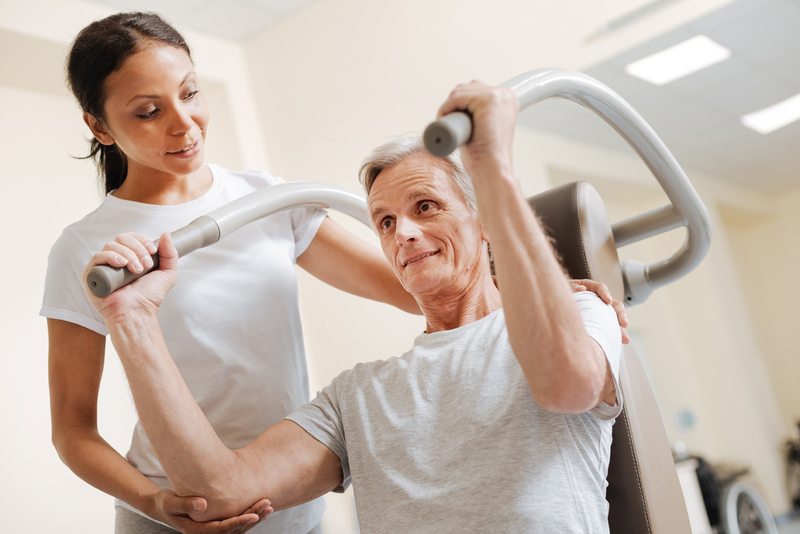 Clients will initially go to cardiac rehab for four to twelve weeks. When rehab is over, remember to obtain a clearance prior to working with your client. 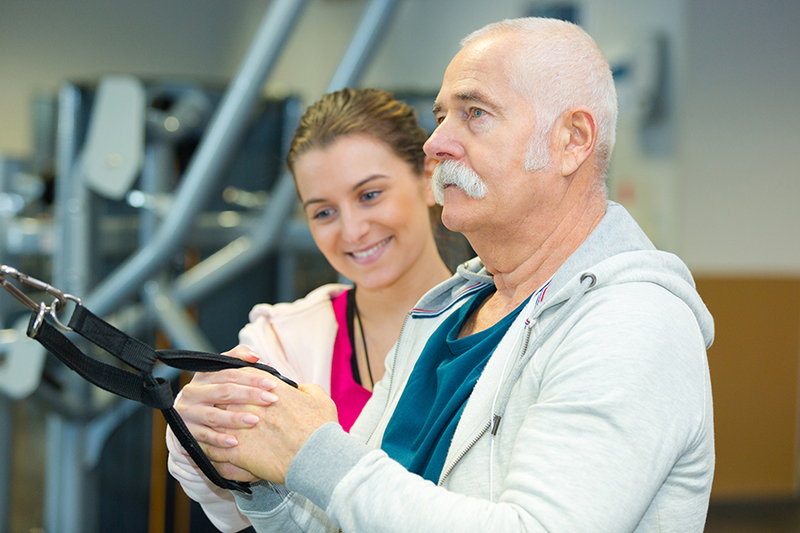 Start your client out by doing their cardiac rehab program. The goal is to strengthen the heart and help the client to build cardiovascular endurance. The heart does not pump blood or relax effectively. 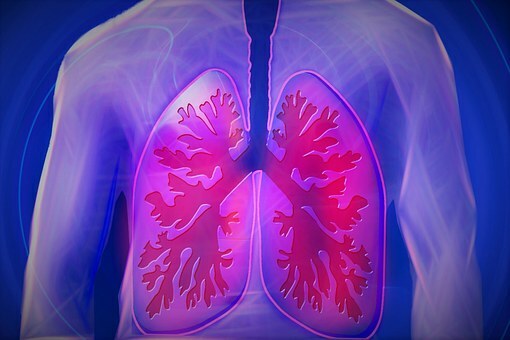 Medications are used for this group to help lung functioning. Blood pressure medicine and diuretics may also be prescribed. The physician may also ask their client to lose weight or use a CPAP if they have sleep apnea. This group of individuals may have COPD, Interstitial Lung Disease, Sleep Apnea, chronic high altitude exposure, and pulmonary fibrosis. Treatment consists of improving lung function, proper sleep breathing and staying away from high altitudes. In group four, clients have blood clots in the lung. The blood clot restricts blood flow causing hypertension. It is important to work closely with the client’s physician for this type of hypertension. 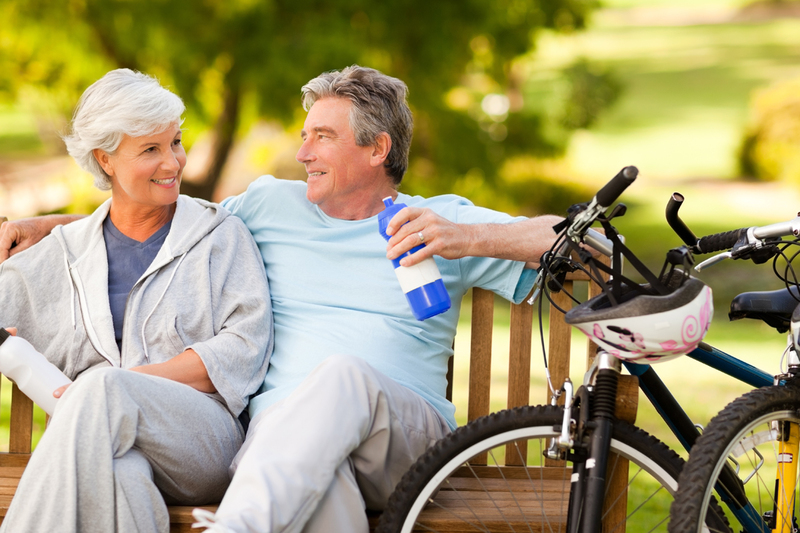 Overall, exercise is thought to be good for individuals with Pulmonary Hypertension. There are, however, some guidelines to follow. Clients should never over exercise or become overheated. If you are working with someone who presents with symptoms, do not exercise upper and lower extremities at the same time. Exercise in extreme hot or cold environments should be avoided. Stress management techniques will not help with bring blood pressure or heart rate down. For these clients, it is important to concentrate on the symptoms. Many individuals with Pulmonary Hypertension develop anxiety, depression and chronic stress. Clients may sit in a chair or lie on the floor for mind/body classes. It depends on what is comfortable for each client. It is important that the client knows to not get discouraged because they are not seeing a drop in blood pressure. Robyn Caruso is the Founder of The Stress Management Institute for Health and Fitness Professionals. She has 18 years of experience in medical based fitness. Musculoskeletal issues have become the number one reason for physician visits. (1) Doctors are starting to agree that many surgeries may have been unnecessary. (2) The opioid crisis is a symptom of a larger societal issue to be sure, but it appears that too many people are turning to pain medications to manage their various aches and pains. Certainly pain medication and surgery can help many diseases and symptoms. However, they can also have long-term detrimental effects on human health. Can supervised exercise contribute to helping the problems of too many surgeries and too many pain medications being prescribed? The modern research on this subject continues to support the notion that properly dosed and executed exercise can have a long-term positive impact on pain and possibly reduce the need for surgery. Who in the health and wellness community conducts supervised exercise? The Personal Fitness Trainer and Exercise Professional. 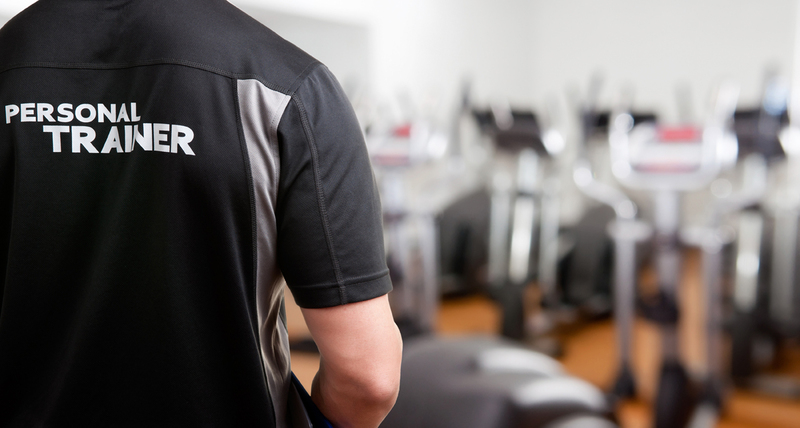 Personal Trainers are sought out to create fun and challenging workouts, help people lose weight, or help athletes perform better for their sport. We feel that although important, this puts exercise professionals like personal trainers in too narrow of a box. Can a Personal Trainer be more? Can an Exercise Professional transcend these service niches and be considered part of one’s healthcare team? We not only believe so, we think that we must. Exercise has more power than we, and the exercise consumer, give it credit for. Exercise can stimulate powerful natural medicine to help individuals overcome chronic pain and possibly even avoid surgery. Our goal is to trumpet this message to exercise professionals and consumers alike and work to support the development of the exercise professional to meet this demand. Our plan is to be one of the pioneers that move exercise to the forefront of healthcare as a powerful, and often overlooked, process to be integrated proactively within a healthcare team for supporting individual health where pain persists and surgery is being considered. Will you join us? Article co-written by Greg Mack and Charlie Rowe of Physicians Fitness. Greg Mack is a gold-certified ACE Medical Exercise Specialist and an ACE Certified Personal Trainer. He is the founder and CEO of the corporation Fitness Opportunities. Inc. dba as Physicians Fitness and Exercise Professional Education. Greg has operated out of chiropractic clinics, outpatient physical therapy clinics, a community hospital, large gyms and health clubs, as well operating private studios. His experience in working in such diverse venues enhanced his awareness of the wide gulf that exists between the medical community and fitness facilities, particularly for those individuals trying to recover from, and manage, a diagnosed disease. Charlie Rowe has been in the fitness industry for almost 20 years, and currently a Muscle System Specialist at Physicians Fitness. He has also worked within an outpatient Physical Therapy Clinic coordinating care with the Physical Therapist. Charlie hold numerous certifications, including Cooper Clinic’s Certified Personal Trainer, NSCA Certified Strength and Conditioning Specialist, the ACSM Certified Health Fitness Specialist, Resistance Training Specialist Master Level, and ACE Certified Orthopedic Exercise Specialist Certifications. Charlie’s experience and continued pursuit of education make him one of the best in his field. (1) Musculoskeletal Injuries: A Call to Action and Opportunity for Fitness Professionals, ACE Prosource 2013 by Nicholas A. DiNubile, M.D. There is a massive market of adults in “need” of exercise and nutritional interventions to rediscover the health they’ve moved away from. 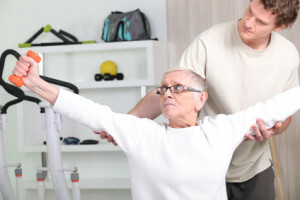 Although the conventions of the medical field are poorly equipped to reverse chronic disease, and the conventions of the fitness field primarily offer protocols for training healthy individuals (even the “special pop” certifications address safety more than an aggressive approach toward dis-ease reversal), there is MASSIVE OPPORTUNITY for you to prosper in working with this “unwell” market. Did you know the Baby Boomers were the biggest population in US history? Well, that was until their kids, the millennials, came along. Baby boomers were born from 1946-1964 and were 79 million strong. We are now down to about 76 million boomers and 10,000 are turning 65 or 70 every day! The millennials only outpaced them by 81 million, but for some reason the entire fitness industry is competing for their business and their attention and completely ignoring the largest, wealthiest, longest living generation in US history! The leading Boomers are 63-72 and they are becoming “seniors” in a completely new way. In fact programs like Silver Sneakers, and other “senior” fitness programs, they are not attending, because as they would put it, those are for “old people ”….maybe for my mom or dad, but not me! This entire generation is breaking the mold on aging and is looking for something new, something cutting edge, something to give them a competitive advantage on their next 20-30 years. They want to give the grand kids a run for their money and they are only just beginning to take on new adventures. So they need personal trainers, group fitness instructors and fitness programming to be the best it can be. If you want to stand out and dominate this market, then you need expertise and credentials that set you apart, because they are not going to just train with anyone. In 2014 we set out to change the fitness industry introducing the first ever Specialist program based on decades of research and over 2,000 clients. We knew the industry didn’t need just another “senior fitness ” lite exercise course, but rather, one grounded in the science of human function and longevity…..and one that believed people could be vibrant, healthy and fit at any age….up until their very last breath! We believe there will be hundreds more like Dr. Charles Eugster who decided to take up sprinting and wakeboarding in his 90s…..because it simply looked like a “hell of a lot of fun”! If you want to be part of the functional aging movement I encourage you to check out the Functional Aging Specialist certification, and join the growing ranks. 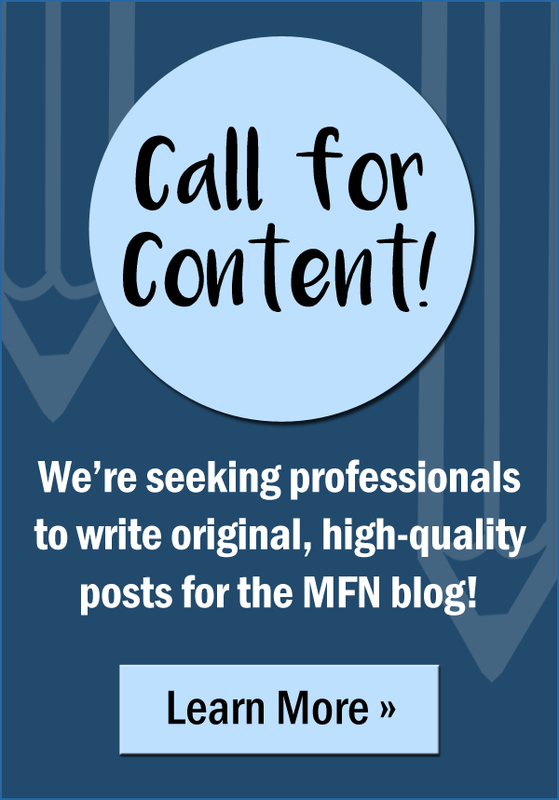 Save $100 on the certification with code 100OFFMFN. Click here for course details. 30% of proceeds from this FAI purchase is donated to the MedFit Education Foundation! Dan Ritchie, PhD, has a broad background in the fitness industry including training and management in commercial and university/hospital-based fitness, for-profit, notfor-profit and educational facilities. His primary areas of expertise are in personal training for special populations: athletes, pregnancy, blind, stroke recovery, Parkinsons, multiple sclerosis, cerebral palsy, Fibromyalgia, Alzheimers, etc. 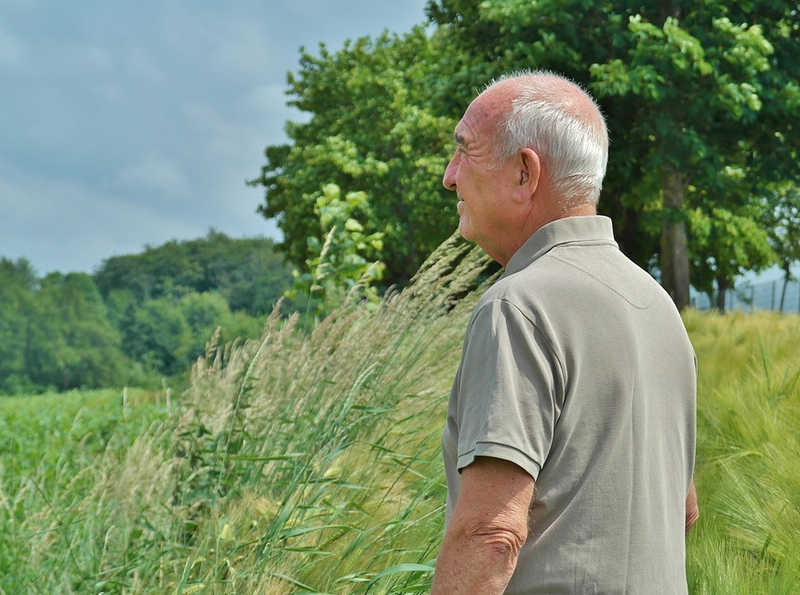 This article was reprinted with permission from the Functional Aging Institute. We are aging—not just as individuals or communities but as a world. In 2006, almost 500 million people worldwide were 65 and older. By 2030, that total is projected to increase to 1 billion—1 in every 8 of the earth’s inhabitants. Significantly, the most rapid increases in the 65-and-older population are occurring in developing countries, which will see a jump of 140 percent by 2030. People are living longer and, in some parts of the world, healthier lives. This represents one of the crowning achievements of the last century but also a significant challenge. Longer lives must be paid for. 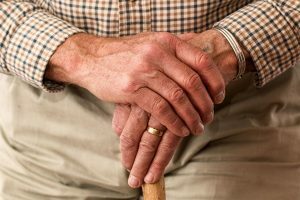 Societal aging may affect economic growth and many other issues, including the sustainability of families, the ability of states and communities to provide resources for older citizens, and international relations. The Global Burden of Disease, a study conducted by the World Health Organization and the World Bank, with partial support from the U.S. National Institute on Aging, predicts a very large increase in disability caused by increases in age-related chronic disease in all regions of the world. In a few decades, the loss of health and life worldwide will be greater from noncommunicable or chronic diseases (e.g., cardiovascular disease, dementia and Alzheimer’s disease, cancer, arthritis, and diabetes) than from infectious diseases, childhood diseases, and accidents. Since the beginning of recorded human history, young children have outnumbered older people. Very soon this will change. For the first time in history, people age 65 and over will outnumber children under age 5. This trend is emerging around the globe. Today almost 500 million people are age 65 and over, accounting for 8 percent of the world’s population. By 2030 the world is likely to have 1 billion older people, accounting for 13 percent of the total population. While today’s proportions of older people typically are highest in more developed countries, the most rapid increases in older populations are occurring in the less developed world. Between 2006 and 2030, the number of older people in less developed countries is projected to increase by 140 percent as compared to an increase of 51 percent in more developed countries. Population aging is driven by declines in fertility and improvements in health and longevity. In more developed countries, declines in fertility that began in the early 1900s have resulted in current fertility levels below the population replacement rate of two live births per woman. Perhaps the most surprising demographic development of the past 20 years has been the pace of fertility decline in many less developed countries. In 2006, for example, the total fertility rate was at or below the replacement rate in 44 less developed countries. Some nations experienced more than a doubling of average life expectancy during the 20th century. Life expectancy at birth in Japan now approaches 82 years, the highest level among the world’s more developed countries, and life expectancy is at least 79 years in several other more developed countries. Less developed regions of the world have experienced a steady increase in life expectancy since World War II, with some exceptions in Latin America and more recently in Africa, the latter due to the impact of the HIV/AIDS epidemic. The most dramatic gains have occurred in East Asia, where life expectancy at birth increased from less than 45 years in 1950 to more than 72 years today. A shift from the predominance of infectious and parasitic diseases to the growing impact of noncommunicable diseases and chronic conditions. The health transition shifts the human survival curve so that the chances of surviving another year are higher at every age. In early nonindustrial societies, the risk of death was high at every age, and only a small proportion of people reached old age. In modern survival curves for industrialized societies, most people live past middle age, and deaths are highly concentrated at older ages. Increases in the probability of survival raise questions about limits to life expectancy and the potential for human lifespan. Despite assertions that life expectancy must be approaching a limit, data on female life expectancies from 1840 to 2000 show a steady increase of 3 months per year. The country with the highest average life expectancy has varied over time—in 1840 it was Sweden, and today it is Japan. Recent research raises other questions about the future of life. Researchers have been able to experimentally increase lifespan in insects and animals through gene insertion, caloric restriction, and diet. It remains to be seen whether similar increases can be replicated in humans. An important feature of population aging is the progressive aging of the older population itself. Over time, more older people survive to even more advanced ages. For research and policy purposes, it is useful to distinguish between the old and the oldest old, often defined as people age 85 and over. Because of chronic disease, the oldest old have the highest population levels of disability that require long-term care. They consume public resources disproportionately as well. Pensions and retirement income will need to cover a longer period of life. Health care costs will rise even if disability rates decline somewhat. Intergenerational relationships will take on an added dimension as the number of grandparents and great-grandparents increase. The number of centenarians will grow significantly for the first time in history. This will likely yield clues about individual and societal aging that redefine the concept of oldest old. The oldest old constitute 7 percent of the world’s 65-and-over population: 10 percent in more developed countries and 5 percent in less developed countries. More than half of the world’s oldest old live in six countries: China, the United States, India, Japan, Germany, and Russia. In many countries, the oldest old are now the fastest growing portion of the total population. On a global level, the 85-and-over population is projected to increase 151 percent between 2005 and 2030, compared to a 104-percent increase for the population age 65 and over and a 21-percent increase for the population under age 65. Past population projections often underestimated decreases in mortality rates among the oldest old; therefore, the number of tomorrow’s oldest old may be significantly higher than anticipated. The percentage of oldest old will vary considerably from country to country. In the United States, for example, the oldest old accounted for 14 percent of all older people in 2005. By 2030, this percentage is unlikely to change because the aging baby boom generation will continue to enter the ranks of the 65-and-over population. In Europe, some countries will experience a sustained rise in their share of oldest old while others will see an increase during the next two decades and then a subsequent decline. The most striking increase will occur in Japan: By 2030, nearly 24 percent of all older Japanese are expected to be at least 85 years old. Most less developed countries should experience modest long-term increases in their 85-and-over population. As life expectancy increases and the oldest old increase in number, four-generation families become more common. The aging of the baby boom generation, for example, is likely to produce a great-grandparent boom. As a result, some working adults will feel the financial and emotional pressures of supporting both their children and older parents and possibly grandparents simultaneously. While people of extreme old age—that is, centenarians—constitute a small portion of the total population in most countries, their numbers are growing. The estimated number of people age 100 and over has doubled each decade since 1950 in more developed countries. In addition, the global number of centenarians is projected to more than quintuple between 2005 and 2030. Some researchers estimate that, over the course of human history, the odds of living from birth to age 100 may have risen from 1 in 20 million to 1 in 50 for females in low-mortality nations such as Japan and Sweden. Source: United Nations Department of Economic and Social Affairs, Population Division. World Population Prospects. 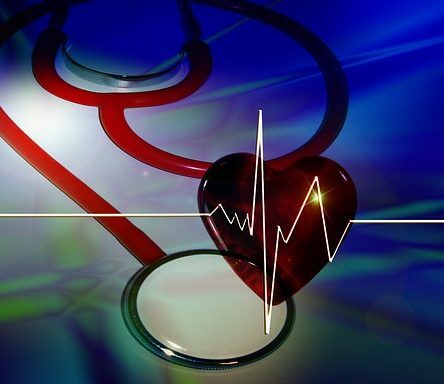 In the near future, the loss of health and life in every region of the world, including Africa, will be greater from noncommunicable or chronic diseases, such as heart disease, cancer, and diabetes, than from infectious and parasitic diseases. This represents a shift in disease epidemiology that has become the focus of increasing attention in light of global aging. There is extensive debate about the relationship between increased life expectancy and disability status. The central question is: Are we living healthier as well as longer lives, or are our additional years spent in poor health? Some researchers posit a “compression of morbidity”—a decrease in the prevalence of disability as life expectancy increases. Others contend an “expansion of morbidity”—an increase in the prevalence of disability as life expectancy increases. Yet others argue that, as advances in medicine slow the progression from chronic disease to disability, there is a decrease in the prevalence of severe disability but an increase in milder chronic diseases. While global aging represents a triumph of medical, social, and economic advances over disease, it also presents tremendous challenges. Population aging strains social insurance and pension systems and challenges existing models of social support. It affects economic growth, trade, migration, disease patterns and prevalence, and fundamental assumptions about growing older. 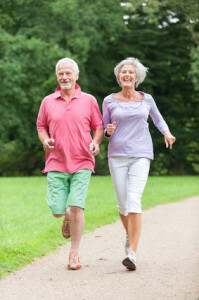 Using data from the United Nations, U.S. Census Bureau, and Statistical Office of the European Communities as well as regional surveys and scientific journals, the U.S. National Institute on Aging (NIA), with input from demographers, economists, and experts on aging, identified nine emerging trends in global aging. Together, these trends present a snapshot of challenges and opportunities that clearly show why population aging matters. The overall population is aging. For the first time in history, and probably for the rest of human history, people age 65 and over will outnumber children under age 5. Life expectancy is increasing. Most countries, including developing countries, show a steady increase in longevity over time, which raises the question of how much further life expectancy will increase. The number of oldest old is rising. People age 85 and over are now the fastest growing portion of many national populations. Noncommunicable diseases are becoming a growing burden. Chronic noncommunicable diseases are now the major cause of death among older people in both more developed and less developed countries. Some populations will shrink in the next few decades. While world population is aging at an unprecedented rate, the total population in some countries is simultaneously declining. Family structures are changing. As people live longer and have fewer children, family structures are transformed, leaving older people with fewer options for care. Patterns of work and retirement are shifting. Shrinking ratios of workers to pensioners and people spending a larger portion of their lives in retirement increasingly strain existing health and pension systems. Social insurance systems are evolving. As social insurance expenditures escalate, an increasing number of countries are evaluating the sustainability of these systems. New economic challenges are emerging. Population aging will have dramatic effects on social entitlement programs, labor supply, trade, and savings around the globe and may demand new fiscal approaches to accommodate a changing world. Global aging is a success story. People today are living longer and generally healthier lives. This represents the triumph of public health, medical advancement, and economic development over disease and injury, which have constrained human life expectancy for thousands of years. But sustained growth of the world’s older population also presents challenges. Population aging now affects economic growth, formal and informal social support systems, and the ability of states and communities to provide resources for older citizens. We can think about preparing for older age on both an individual and societal level. 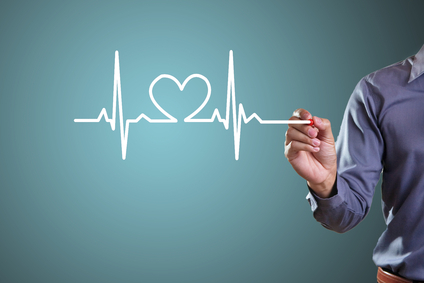 On an individual level, people need to focus on preventive health and financial preparedness. Since the mid-19th century, the life span in the US has nearly doubled. Most of the increase in life expectancy is due to declines in death from infectious disease. Unfortunately, the number of deaths from infectious disease has been replaced by the number of deaths from degenerative or “lifestyle” diseases. Most people would agree that living a long life without health and independence is not desirable. So, when we consider that an increasing number of people are living longer, we must also consider the problems that are created when the quality of these extended years is poor. Morbidity is defined as the absence of health. All too often it is a state in which many frail elderly live for a long time prior to death. The major chronic diseases that contribute greatly to morbidity are arteriosclerosis, cancer, osteoarthritis, diabetes, and emphysema. These diseases usually begin early in life, progress throughout the lifespan, and worsen each decade until finally becoming terminal. An example is diabetes. It could begin with obesity at age 20, progress to glucose intolerance at age 30, develop into elevated blood glucose at age 40, be indicated by sugar in the urine at age 50, require medication at age 60, and lead to blindness and amputation at age 70. This is not a pretty picture. The social consequences of an unhealthy older population are huge. Sickly elderly individuals become more and more unproductive which makes them and the family members caring for them miserable. All of this imposes a huge financial burden on society overall. It has been estimated that by the year 2040 the average life expectancy of older people could increase by 20 years. By the middle of the 21st century there could be 16 million people in the US over the age of 85. It is also estimated that the average 65-year-old will spend 7½ years of this remaining 17 years living with some functional disability. If the present rate at which people are being added to the category of those experiencing morbidity is projected to the future, a 600% increase in healthcare costs will occur. Still expecting Medicare to take care of us all? Social and medical programs are directly linked to the size and health status of the elderly population in a society. 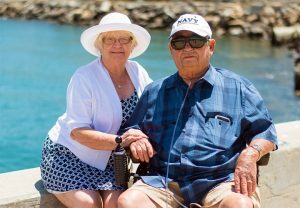 The quality of life of our elderly – and in fact for all of us – will be affected not only by the number of years our seniors live, but also by how comfortably they spend those remaining years. The emphasis in gerontological research has begun to shift from lengthening life to increasing years of health. The new goal is to shorten the period of time that people live in an unhealthy, dependent state. If scientific advances allow us to live 15 or 20 years longer, and if these 15-20 years consist mainly of pain, suffering, and dependence on others, what have we accomplished? Because chronic diseases begin early in life and develop gradually, a healthy lifestyle can greatly postpone or even prevent the start of some of these chronic diseases like diabetes, emphysema, and heart disease. The longer the diseases are prevented, the less time an individual will experience morbidity in later years. As a matter of fact, individuals who practice sound health habits and prevent the onset of chronic disease for many years might NEVER experience morbidity. While it is important for health professionals to develop and enhance life-extending strategies, we also must provide strategies that enable people to live as well as they can. There needs to be a balance between quantity and quality. As a fitness professional reading this, hopefully you are not asking yourself “so what?” but are instead seeing an opportunity to educate and motivate your current clients and to use your knowledge to help attract future clients. If you are interested in working with older adults, it is important to have the knowledge base to safely and effectively train them. 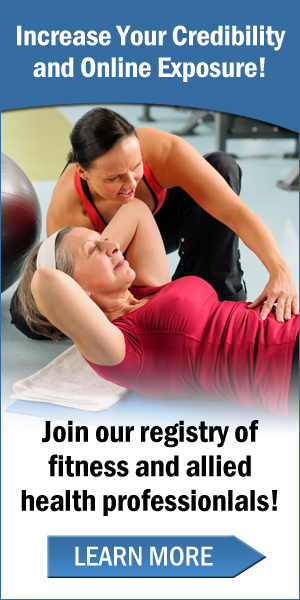 A good overall program to consider is the SrFit Mature Fitness Program, which is recognized for continuing education by many certification organizations including ACSM, BOC, NASM, NSCA, YMCA and others. You can check it out by going to www.aahf.info. 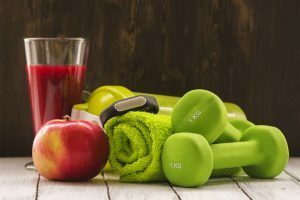 The medical community is good at diagnosing chronic lifestyle diseases, but not necessarily equipped to provide patients with the tools to be successful with the lifestyle changes they recommend. There exists a wonderful opportunity to build a partnership with physicians in your area. Most physicians will gladly refer patients to you for help with the all-important exercise and nutrition portion of the treatment program. In many cases you will have more knowledge in this area than the physician who has been trained in tertiary, not preventative, medicine. Most MD’s know very little about diet and exercise since they are not taught this in medical school. Often all that you will need to get a referral is for the doctor to be aware of your existence and to give them an easy way to get the patient to you. A short introduction letter outlining your qualifications and showing your desire to help people make lifestyle changes is a good start. Be prepared to take up just a few minutes of their time to introduce yourself, your idea, and leave your letter and cards. Originally published on American Academy of Health and Fitness. Reprinted with permission from Tammy Petersen. Much of the information provided here was taken from a report prepared by the U.S. State Department in collaboration with the National Institute on Aging. The National Institute on Aging (NIA), part of the National Institutes of Health, was established to improve the health and well-being of older people through research. As part of its mission, the NIA investigates ways to support healthy aging and prevent or delay the onset of diseases disproportionately affecting older adults. NIA’s research program covers a broad range of areas, from the study of basic cellular changes with age to the examination of the biomedical, social, and behavioral aspects of age-related conditions. Although the main purpose of this research is to increase “active life expectancy” — the number of years free of disability — it may also promote longevity. In our first part of this three-part discussion, in addressing the topic of financial reward, I asked you to ponder the value of restoration. What, I prompted you to consider, is the value of helping someone who has moved along the dis-ease continuum, gradually leaving health in the proverbial rear-view-mirror back toward divine health? It isn’t an easy question to answer. We can tackle it by considering all of the dollars those who incur inflammatory issues, chronic challenges, and cellular degradation will have to invest in maintaining function and comfort. We might also attempt to place a monetary value upon lost quality of life. We might even consider the simple question, “what would someone pay to rediscover health” considering their fear and apprehension of the alternative, and from that extrapolate the value. If you are willing to believe that personal trainers with advanced education and the development of a complementary skill set can have immeasurable impact upon “the unwell population,” one perspective becomes clear. The trainer versed in restoring health commands a far greater value than the personal training mainstream. As in any field, a specialist with enhanced value will serve his or her marketplace best by finding a direct line of contact with those in need of their specialty. In the sentence above, “need” is the key word. Now that I’ve mentioned it a few times, I’ll provide a general description of the market I’m referring to as “unwell.” Then I’ll help you see the opportunity to step up, to meet this population in an arena where they “need” you. I’, to command a value in line with a well-justified fee, and . . . here’s the biggie . . . to provide them the service they will truly benefit from. Let’s be really clear here. I’m not suggesting the opportunity lies in training “sick people.” I’m suggesting the largest, most opportune market share is made up of many American adults between the ages of 35 and 65. They aren’t “sick” in a clinical sense. They work. They drive their kids to school. They shop in the malls and grocery stores. They eat in the neighborhood restaurants. They pump gas in the same gas stations you do and they frequent Starbuck’s, Chipotle, and the local pizza place. Not sick, at least not clinically, but not well. What’s alarming is, I’m describing near 65% of the adult population over the age of 45. Yes, the market is vast. If the unwell were being cured of their ailments or remedied by the conventions of medicine, I wouldn’t see the “need” as being this opportune. All I need to share is a single statement to help you see why there’s a desperate need for a new type of health practitioner, one who masters the exercise and eating intervention. Here’s that statement. In a society where chronic disease is most treated with pharmaceutical intervention, there isn’t a single medication that will cure any chronic disease. Read that again. While there exists a wild array of meds to manage conditions and change biomarkers, there isn’t one that will cure the plight of the unwell. Conversely, there is an extensive body of evidence to demonstrate the power we have over shifts in blood sugar, blood pressure, and hormonal disruption when we strategically employ a variety of exercise modalities and guidance in the realm of supportive nutrition. If we consider a “Level 1” trainer someone who is qualified, credentialed, and able to provide safe and effective exercise prescription to a healthy population, let’s consider a “Level 2” someone who can effectively target this Unwell niche and deliver improvements in biomarkers, condition, and quality of life. In establishing a presence and a track record with the Unwell, the enhanced personal trainer (enhanced with a higher level of education than the standard and an ability to implement positive change in the unwell) can justifiably command fees in line with other health practitioners, medical practitioners, and specialists. In setting a fee structure, there should be a professional standard, a relationship-based fee that is consistent, one that exceeds “an industry standard.” Remember, if you deliver above the standard, you deserve reward above the usual. HOW DO YOU STEP UP AND CREATE AN AUDIENCE? In order to establish your position, you’ll want to have four. Four strong successes. Four living examples of the value you deliver, and finding those four requires a bit of front-end work. Once you have your four you have a sound foundation upon which to build. The question, therefore, that merits consideration is . . . how do you “break in.” Where do your “four” come from. I’ll make it step by step. 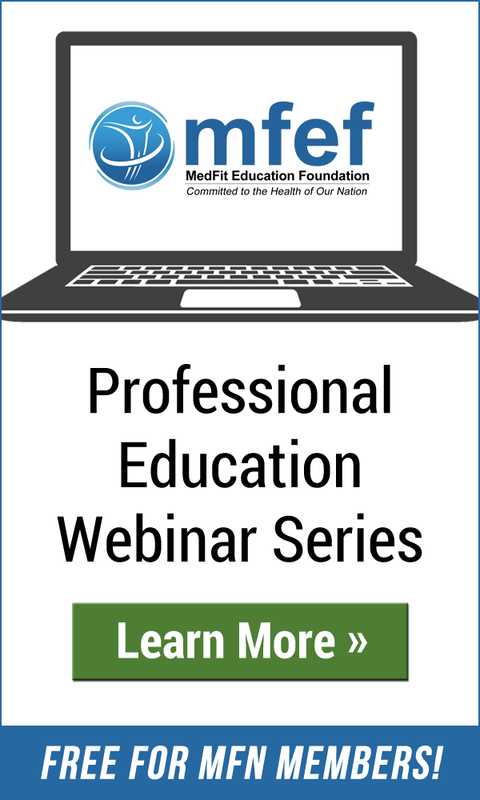 Note that everything that follows is based upon the assumption that you have received extraordinary training, that you’ve established a level of education complementary to your base credential, and that you’re positioned to initiate and maintain a practice with a revised focus on empowering clients to reverse the imbalances inherent in chronic disease. This is a prerequisite of paramount importance and although I won’t invest any more time in addressing it here, don’t allow my failure to repeat and reiterate this point as an indication its any less than vital. STEP TWO: Determine your fee structure, your promise, and your offer. You don’t want to approach each prospective client with an open negotiation, nor do you want to exhibit uncertainty. As any business owner, design your foundation. What, precisely, are you promising each client? How are you compensated for that? What, precisely, is the person considering retaining you, supposed to do now, as a point of commitment. STEP THREE: Choose a location, an affiliation, a network, and a social media platform where you can “meet” your ICA and spread the word. This is far simpler than it sounds. In outlining your ICA, simply as the question, “where do I find him (her)?” This is marketing at its core. Don’t think “medical.” Think real life. Where can you do a talk, a workshop, a presentation, knowing your ICA sits in the audience. I realize this is the intimidating step . . . but it’s also the one that brings you to human connection, and ultimately to commitment and money exchange. Perhaps in the future I’ll share an entire article devoted to “finding your ICA in the real world.” For now, accept that you have the answer to the question, you have the ability, and all it takes is a bit of courage and determination. STEP FOUR: Create your Four. Do your thing. Work your magic. Use your skill set. Bring about change. Documentable change. Once you have your first four successes, you begin to build what I call an Arsenal of Evidence, and from that point on, the marketing challenge is replaced by magnetic appeal. STEP FIVE: Build your business confidently, massively, professionally, and without limit. This 3-part piece is intended, not to be a complete primer for business building, but to give you a sense of both the opportunity and your ability. In creating a distinction between the progressive trainer willing to study, learn, and elevate, I’ve used the term “Level 2,” not to suggest any elite status, but to demonstrate a clear escalation in earning potential. Before I conclude this second part of the piece, I’ll outline a few elements of what I’m calling The Level 2 Trainer. Is there a level above the Level 2 trainer? Yes. And the sky’s the limit. Literally. More to come in Part 3! What is an Allied Healthcare Professional? Whether it’s exercise, nutrition, or massage therapy you are seeking, finding the right person to do the job can be incredibly challenging. The area known as allied healthcare professionals can be a challenging one to navigate. The professions that require a state or national licensures, such as physicians, nurses, or physical therapists, help to provide checks and balances on who should and should not be providing a service to any individual. However, there are many professions within our healthcare community that are poorly understood and many times misrepresented by individuals with minimal certifications or credentials. Allied healthcare professionals are thought to make up roughly 60% of the healthcare workforce by providing a range of diagnstic, technical, therapeutic and direct patient care and support services that are critical to the other health professionals they work with and the patients they serve. All categories of allied healthcare require either registration by law to practice or post secondary degree or higher education. Click here for more information about allied healthcare professions. Is it time to re-assess who you trust with your healthcare needs? It is essential to know the credentials and education of anyone you are trusting for information or advice whether it be an accountant, lawyer, dentist or teacher. Healthcare is no different, but there are many misunderstood healthcare professions. Distinct from nursing, dentistry or medicine, allied healthcare professionals make up approximately 60% of the health workforce. Examples include athletic trainer, exercise physiologist, paramedic, and massage therapist. Many times, these professionals are those you are referred to by your physicians to help manage your healthcare needs daily, weekly, and monthly. National and state licensures ensure that certain healthcare professionals uphold the standards and scope of pratice that is pertinent to their level of education. Multiple allied professions remain to establish this key aspect of standardized care which simply means that certain professions are more susceptible to individuals claiming a level of expertise or knowledge that can be misleading or confusing to the general population. For example, as a Clinical Exercise Physiologist, I clearly understand the difference between my skillset and that of a personal trainer; however, to the general public, both professions provide guidance with exercise. Due to lack of established licensure exams, it is unclear to many people that some Exercise Physiologists (like myself) have a Master’s Degree, while others may have earned a weekend certification. 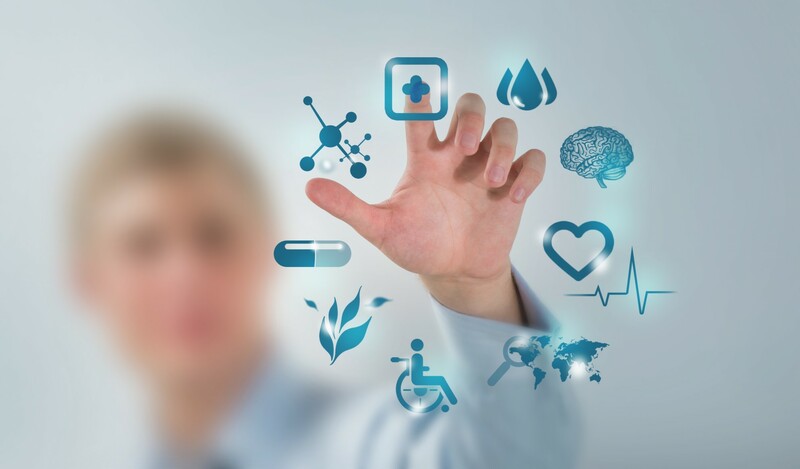 It is incredibly important for you to understand the roll of any healthcare professional from which you seek treatment and advice as well as their experience and background in relation to your particular healthcare needs. Accessing information about these resources from a knowledgeable professional can help to ensure proper connection to an individual that is appropriately educated to effectively meet your needs.